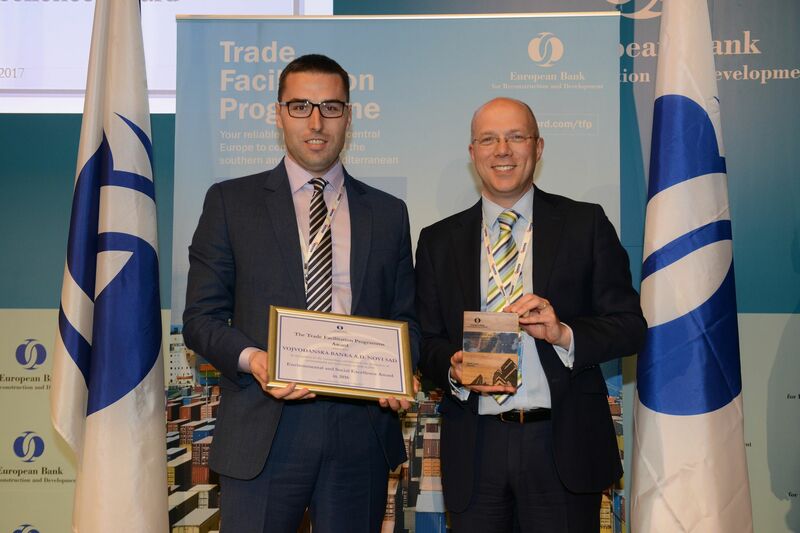 At this year’s Annual Meeting and Business Forum of the European Bank for Reconstruction and Development (EBRD) in Cyprus, the EBRD’s Trade Facilitation Program (TFP) have honoured Vojvođanska Bank during their annual awards. Vojvođanska banka this year received special award in the field of environmental and social issues in recognition of outstanding contribution to the promotion of environmental and social issues in the trade in 2016. On behalf of the Bank, Marinos Vathis, Chairman of the Executive Board of Vojvođanska Banka received the award. “We’ve never primarily focused on profit and figures; our colleagues have worked hard to raise awareness among our customers in terms of environmental and social issues in the trade.” said Vathis.